Enjoy a celebration of a quarter of a century of music by the Caravan and Motorhome Club Concert Band. 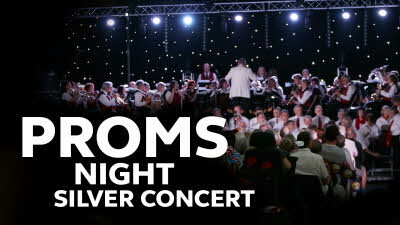 Join the band as it re-visits some of its favourite tunes from the past 25 years, including, of course the traditional proms favourites to finish the evening. Please note: If you have already booked a pitch at the National and would like to add tickets, please telephone the Events Team on 01342 336 666 to avoid incurring additional postage and packaging charges. Evening shows may be subject to change.Full National terms and conditions apply.